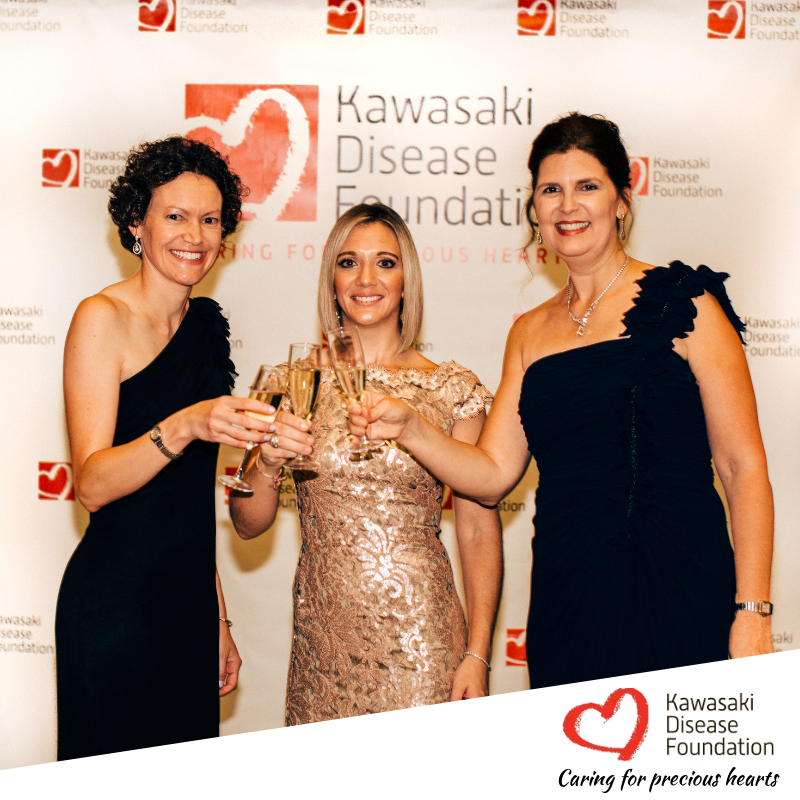 The first east coast KDF gala was one to remember! And quite unexpectedly, the memories began even before our guests arrived. As we were setting up in the rotunda of The Jefferson Hotel, a man stopped in his tracks when he saw a large poster with the KDF logo. “Kawasaki Disease? No way!” Once a foreign name to him, he recognized the name now all too well. One week prior, his nephew has been hospitalized with a “strange rash and fever and was incredibly sick.” Thanks to some quick-thinking doctors and specialist, his nephew was diagnosed, received proper treatment and was discharged. Our new friend shared his nephew’s story with tears in his eyes and thanked us for what we were doing. He too was now a part of a club that no one asked to join. We were so grateful to meet him, hear that his nephew was doing well and know that he will always be an advocate. KD parents and survivors traveled from across the country to share their stories throughout the evening. KD Survivor and rising Nashville star, Lily Nelsen, was our Emcee. Lily shared her story and original songs that warmed the room filled with medical professionals, KD survivors, parents, friends, and family. We heard about the latest in research and had a heart-breaking call to action by a mother, sister and friends who made the journey from Cincinnati, OH to tell Lisa’s story. Although diagnosed and treated in time, her life ended tragically with a massive heart attack due to lack of information about how to treat and monitor KD survivors into adulthood. Spreading awareness and staying up to date on the latest in KD research and treatment protocols is vital. The KD Foundation has been serving KD families for nearly 20 years. At the gala, members of the Board of Directors honored its founders, Greg and Merrill Chin for their vision of providing a platform on which to provide information and facilitate communication and support to KD families. Also honored, were Don and Patty Dawn of the Gordon and Marilyn Macklin Foundation for their extensive range support of KD awareness and research. Funds raised at the gala’s Live Auction are earmarked to further research in the KD Adult Collaborative, led by world-renowned researcher Dr. Jane C. Burns. Our quest continues, and we hope you’ll join us again next year. Until then, watch out for a parent symposium near you, keep up with us on social media and please reach out if we can support you. We’ll be in Boston on January 26th and would love to see you there.